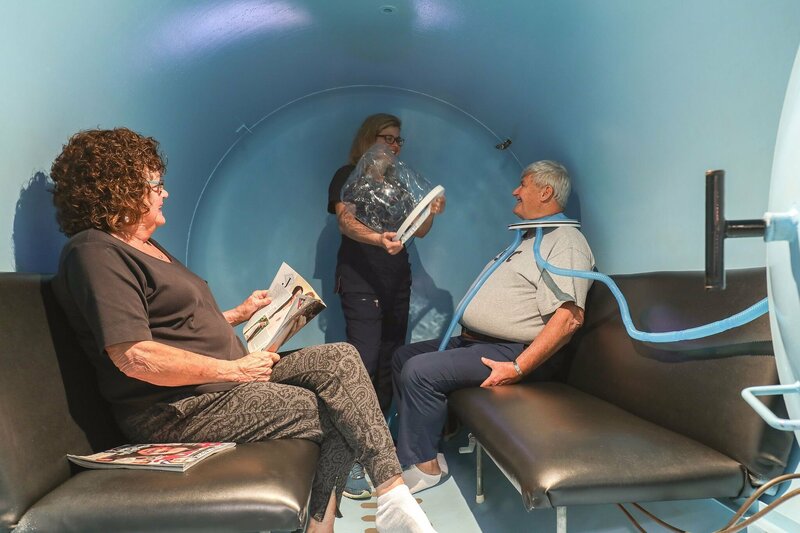 Hyperbaric Oxygen Treatment Centers in Randolph, MA has a spacious hyperbaric oxygen chamber that allows changing positions during your treatment. You can sit or recline, watch TV, read, or sleep while you undergo hyperbaric oxygen treatment (HBOT). We will try our best to make you as comfortable as possible. At our facility, a patient changes into scrubs that are 100% cotton and removes shoes prior to entering the chamber (socks must be worn). No cell phones or electronic devices are allowed in the chamber. However, patients may bring a book or magazine. Additionally, we provide water and snacks to patients in the chamber. The most common side effect of an HBOT session is “clicking” or “popping” of the ears, similar to what is experienced in an airplane. After the first few minutes of therapy, this symptom usually subsides and then returns during the last few minutes of the session. 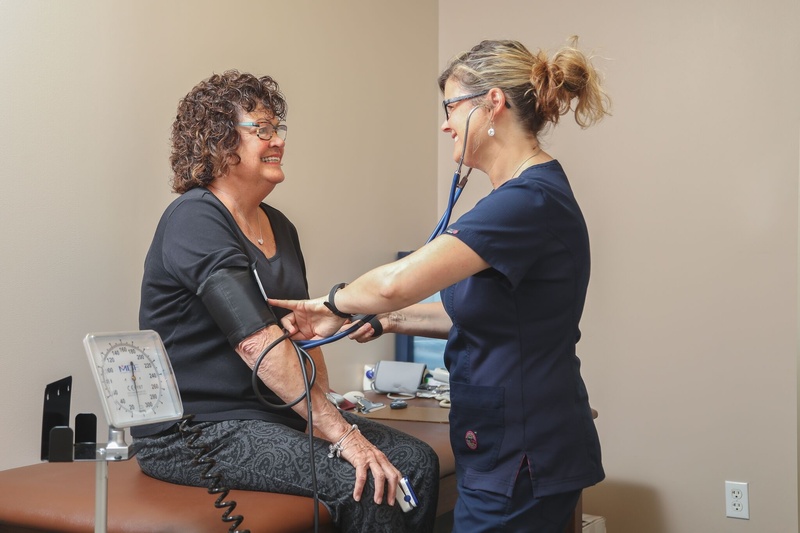 Also, some patients experience a decrease in blood sugar while receiving high doses of oxygen so we ask them to eat within an hour prior to their session. We will check a patient’s blood sugar before and after therapy when appropriate. 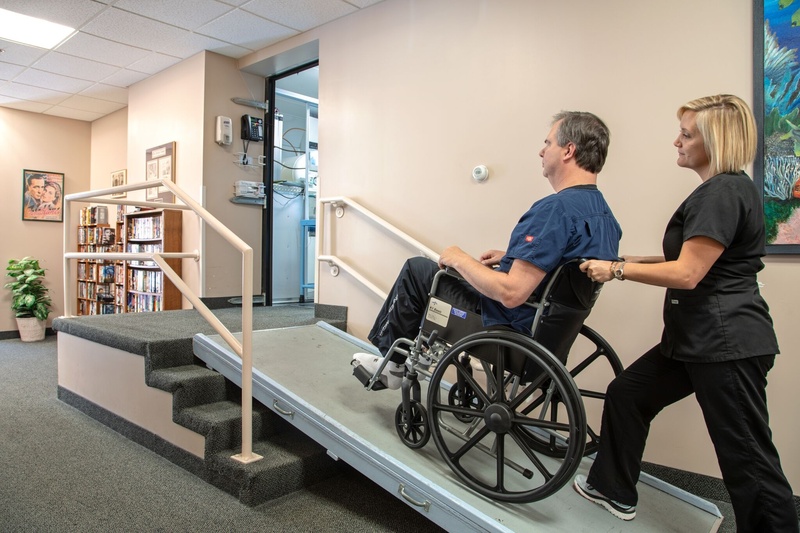 Your safety and comfort during therapy is our utmost priority. An intercom permits two-way conversations while a video monitor allows us to watch you closely during your entire treatment. At all times during hyperbaric therapy, you will always be in control. You may notify us when you feel you need to exit the chamber. Experiencing Confinement Anxiety or Claustrophobia? A multi-place hyperbaric chamber is ideal for people who experience anxiety in confined spaces or claustrophobia. In the 10 ft X 6 ft chamber, you can read, watch a movie, or converse with other patients. The large space enables you to stand, sit, or lie down easily within the chamber. For those who are reluctant to have hyperbaric therapy because of confinement fears, we offer a program that will gradually prepare you to undergo therapy confidently.